A balloon launch was held at Rose Avenue Community Center in honor of International Overdose Awareness Day. Attendees released balloons to honor those who have been lost to overdoses. Jemar Harris spoke of the role religion has had in helping him to overcome addiction. The balloons were colored silver and purple. Silver is the color of overdose awareness and purple is the color of opioid addiction. Larry Young shared his story of addiction and recovery. Friday was International Overdose Awareness Day, and members of the Washington Court House community came together at the Rose Avenue Community Center to remember loved ones who were lost to overdoses and to bring awareness to the effects of the opioid crisis in Fayette County. The event started with a balloon launch. 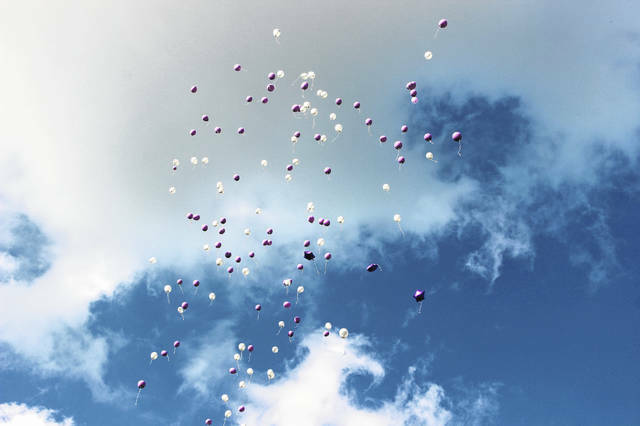 About 100 people took part in the launch, and the purple, silver and white balloons floated into the sky together. In addition to balloons, each attendee was given a gift bag which contained information about overdoses. After the launch, attendees convened inside the community center where they watched a video with images of people, many of them quite young, grinning on the backs of motorcycles, posing in new hunting gear, holding children who are smiling up at them. Each of these individuals died of an overdose. The video featured 17 images, which is less than the number of people who died in Fayette County of overdoses last year alone, according to preliminary data. But, something about seeing those images flash on the screen, one after the other, did more to drive home the reality of the opioid crisis than any list of figures and statistics could. There were few dry eyes in the room when it ended. After Young spoke, minister Jemar Harris shared his story. Harris, who lives in Chillicothe, struggled with addiction for decades before getting clean five years ago. He credited religion with his change of heart. Virts has held multiple events to raise awareness of the opioid crisis in Fayette County, and she said she plans to continue to do so. Virts also helps to host meetings of grandparents who are raising their grandchildren, often due to their children’s struggles with addiction, at the Rose Avenue Community center. These meetings are held every other Wednesday at 5:30 p.m. Grandparents who attend will have the opportunity to enjoy desserts and coffee, and to speak with other people who can understand the challenges they’re facing firsthand. 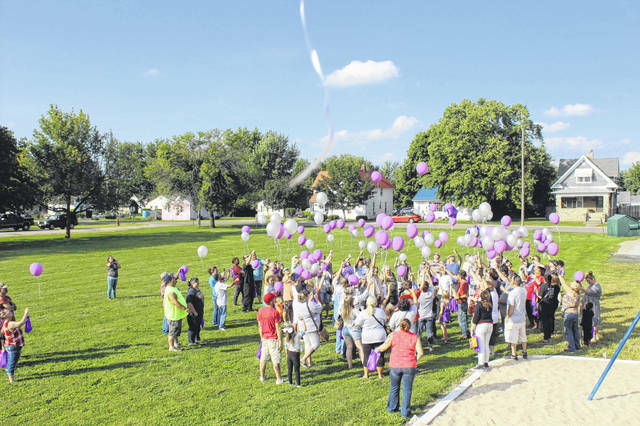 https://www.recordherald.com/wp-content/uploads/sites/27/2018/09/web1_balloon-picture-1.jpgA balloon launch was held at Rose Avenue Community Center in honor of International Overdose Awareness Day. https://www.recordherald.com/wp-content/uploads/sites/27/2018/09/web1_balloon-picture-2.jpgAttendees released balloons to honor those who have been lost to overdoses. 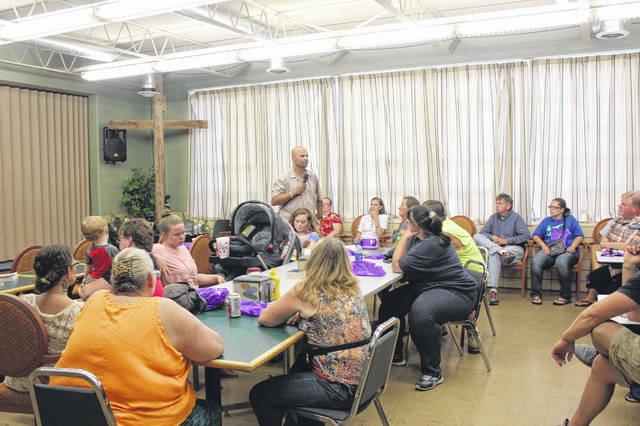 https://www.recordherald.com/wp-content/uploads/sites/27/2018/09/web1_balloon-picture-4.jpgJemar Harris spoke of the role religion has had in helping him to overcome addiction. 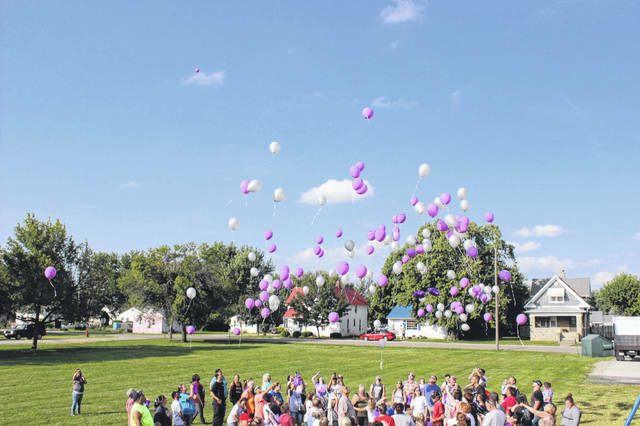 https://www.recordherald.com/wp-content/uploads/sites/27/2018/09/web1_balloon-picture-5.jpgThe balloons were colored silver and purple. Silver is the color of overdose awareness and purple is the color of opioid addiction. 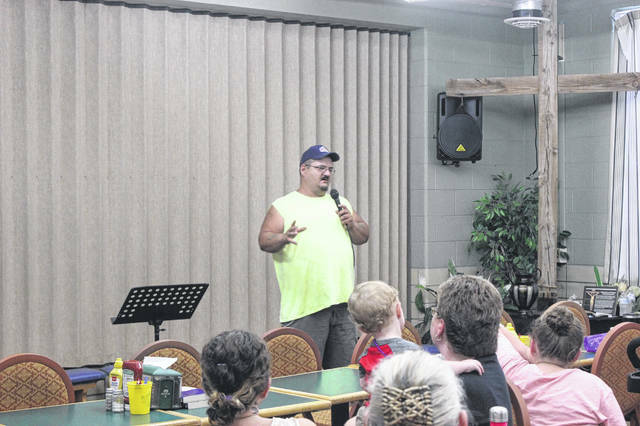 https://www.recordherald.com/wp-content/uploads/sites/27/2018/09/web1_balloon-picture-3-edited.jpgLarry Young shared his story of addiction and recovery.